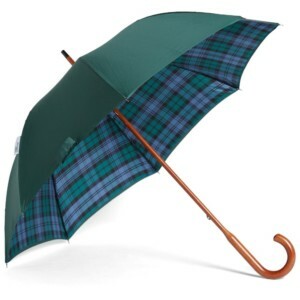 The umbrella is probably close to the bottom of your list of stylish items that you were thinking of buying. For a long time it was for me too. In fact I hated using an umbrella at all because it was one more thing I had to carry. But it only takes one time of having to sit in the office, clothes soaked from the rain, to realize that an umbrella is worth keeping around. The previous umbrella I had was nothing special. It was a plain black umbrella. It recently broke so I was in the market for a new one. I wasn’t up for paying for an expensive/designer one because I don’t believe it’s worth it. But I know I wanted to try something stylish this time around. A quick umbrella search led me to The Wirecutters post on “The Best Umbrella“. While I didn’t like the style of their main recommendation, their pick for the best stick umbrella spoke to me. I didn’t want to go with a plain black again, so I dialed it up and went with the striped Totes auto open stick umbrella. It’s bold. And I like that. The handle is extremely comfortable, and it opens and closes very easily. But Why the Stick Umbrella? There is nothing wrong with standard umbrellas if they get the job done. But what makes the stick umbrella stand out is its classic style. Sure it’s much bigger than a standard one, but it makes a style statement. Especially if you go with an out of the ordinary color/pattern. Stick umbrellas also tend to have larger canopies which means more protection from the elements. So it’s not just about the looks. 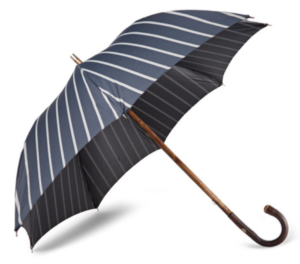 While I went with the Totes auto open stick umbrella ($20, pictured above), there are plenty of other options at all price points. Here are a couple other stylish recommendations going up in price. The London Undercover Classic Double Layer Umbrella ($95) is a good mid-priced option that will keep you stylish and dry in the rain. Simple color on the outside, but great-looking plaid pattern underneath. 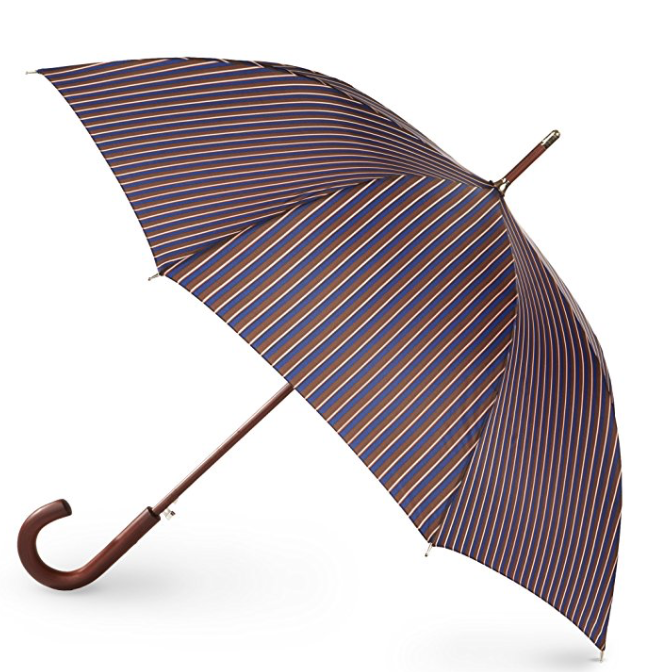 The Francesco Maglia Lord Chestnut Wood-Handle Striped Twill Umbrella ($395) is a beauty. This hand-crafted masterpiece is your go-to if you’re looking to splurge on an accessory. And aside from possible a watch, this will more than likely be the most expensive accessory you own. No matter where you live, you’re sure to come in contact with some rain at some point throughout the year. And it never hurts to stay dry and stylish at the same time.